The China Clean Energy Fund is Apple’s newest venture. Calling it a “first-of-its-kind investment fund in China to connect suppliers with renewable energy sources,” Apple announced that the China solar power investment is part of its larger commitment to address climate change and increase the use of renewable energy within its supply chain. The fund will develop clean energy projects, producing over one gigawatt of clean energy in the country—enough to power one million homes, according to Apple. China solar power investment by the iPhone maker and 10 of its components suppliers comes at a time in which the country has been trying to promote clean energy sources as that demand surges. The $300 million fund will invest in renewable sources of energy in the China solar power and other clean energy markets over the next four years. 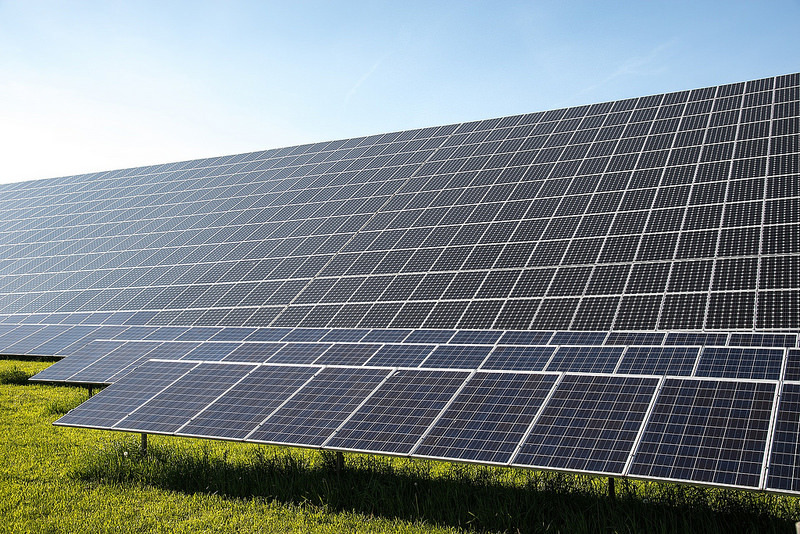 Managed by DWS Group, Deutsche Bank’s asset management division, the fund is designated to help smaller companies that do work for Apple find clean energy. Importantly, the fund will have the capability to invest in new power generators so that the companies that make parts for Apple — its suppliers — have better access to renewable energy sources. As many of Apple’s suppliers are based in China, the fund will enable significant wind and solar expansion there. While a large supplier may be able to negotiate cost-effective renewable energy deals, a smaller manufacturer may have less leverage. Accessing the potential of small China solar power companies is important to Apple, as it has a goal for all its suppliers to run on 100% clean energy. 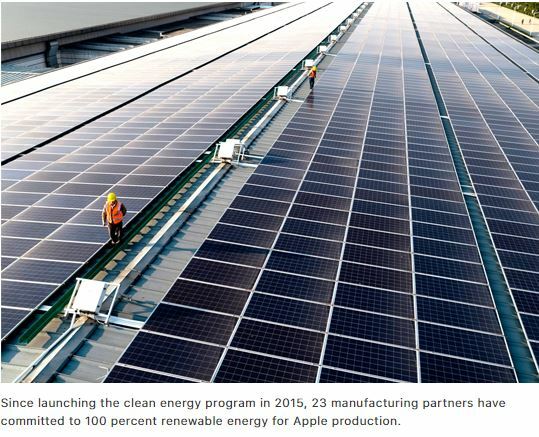 The Apple Supplier Clean Energy Program began in 2015. Since that time, 23 manufacturing partners, operating in more than 10 different countries, have committed to powering all of their Apple production with 100% clean energy. Apple and its suppliers will generate more than 4 gigawatts of new clean energy worldwide by 2020 — representing one-third of Apple’s current manufacturing electricity footprint. Apple revealed in April, 2018 that its own facilities were fully powered by renewable energy, including its headquarters, Apple Park, which has a 17-megawatt solar installation on its roof.